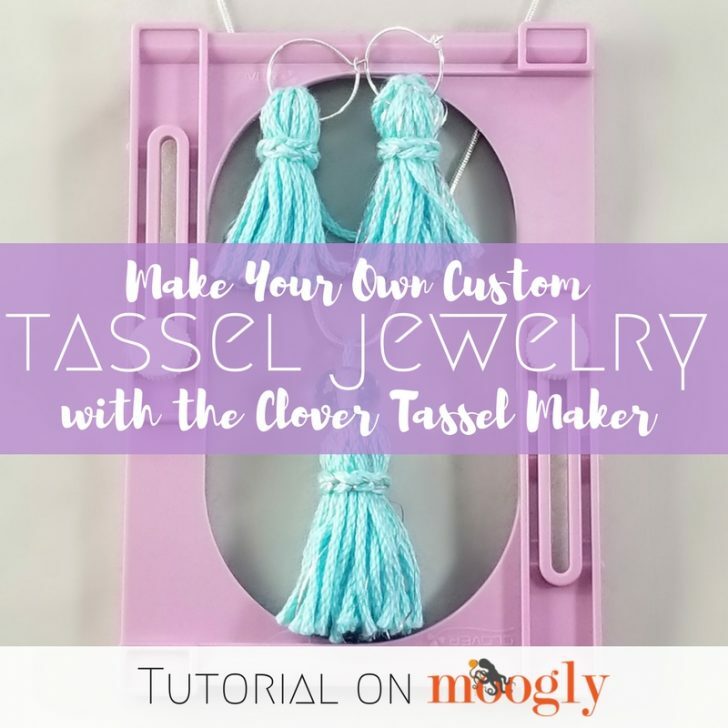 DIY Tassel Jewelry with the Clover Tassel Maker! 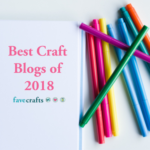 I love the holiday season – so many excuses to craft! 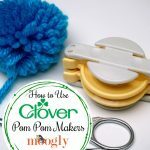 And this week I’ve been having fun crafting my own New Year’s Jewelry set using the Clover Tassel Maker! 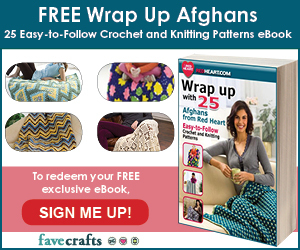 Disclaimer: This post includes affiliate links and was made in cooperation with Clover USA. 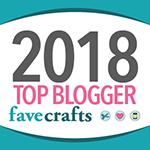 Tassels have been everywhere this year, and I wanted my own set of Tassel Jewelry to wear out on New Year’s Eve – but you know how it is when you’re crafty! I had to make my own! 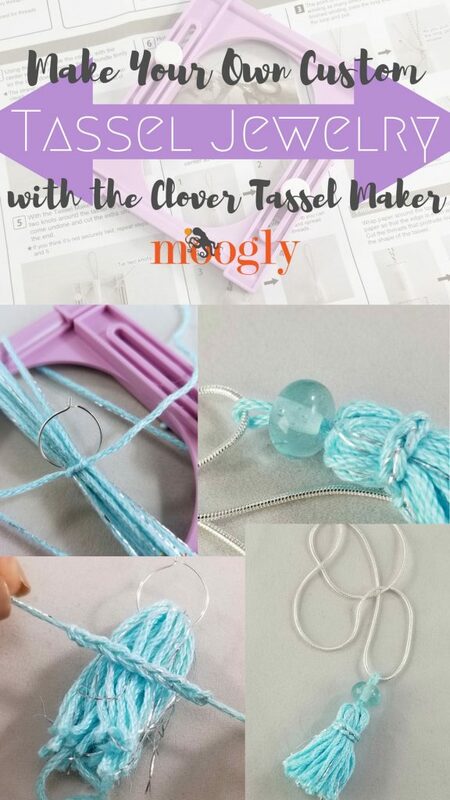 If you haven’t used Clover Tassel Makers before, it’s easy – but it does take a little practice too. 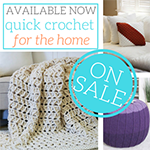 Luckily, they come with lots of detailed instructions! 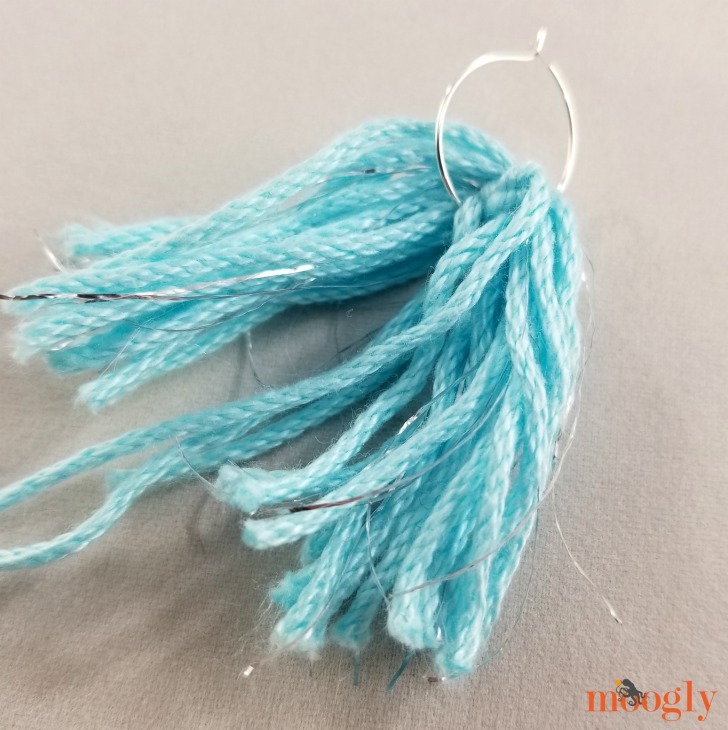 So first, I made the Tassel Earrings, using the Clover Tassel Maker on it’s smallest setting, and holding the yarn and thread together. 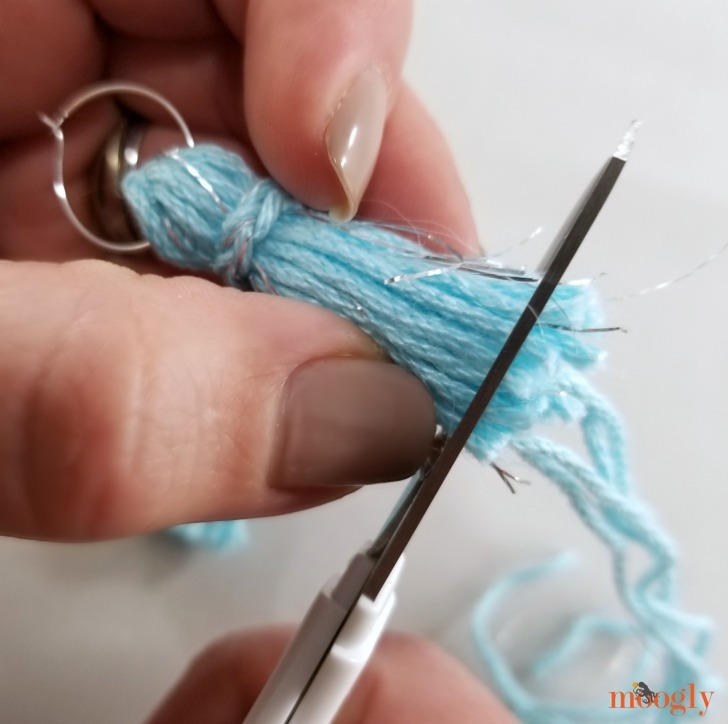 I wound the yarn and thread around the tassel maker 8 times for each earring – and here’s a tip! 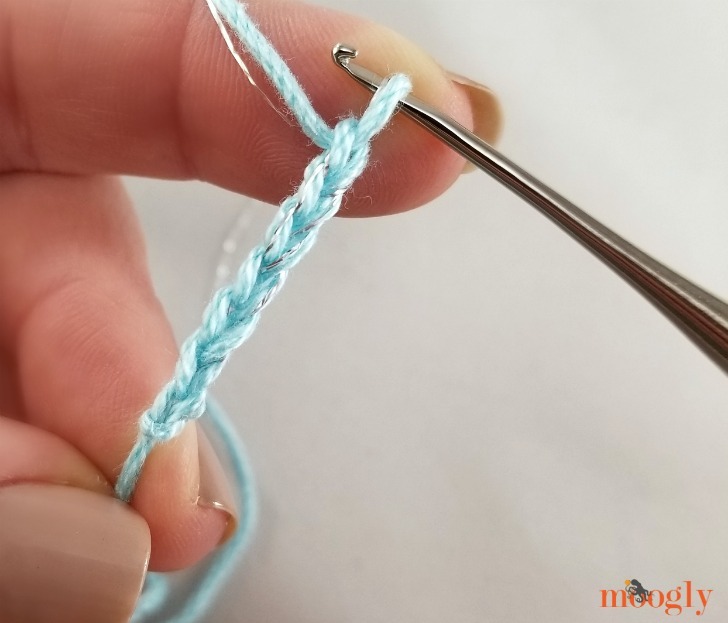 Tie the end of the yarn and thread together before you start winding to make it a little easier! 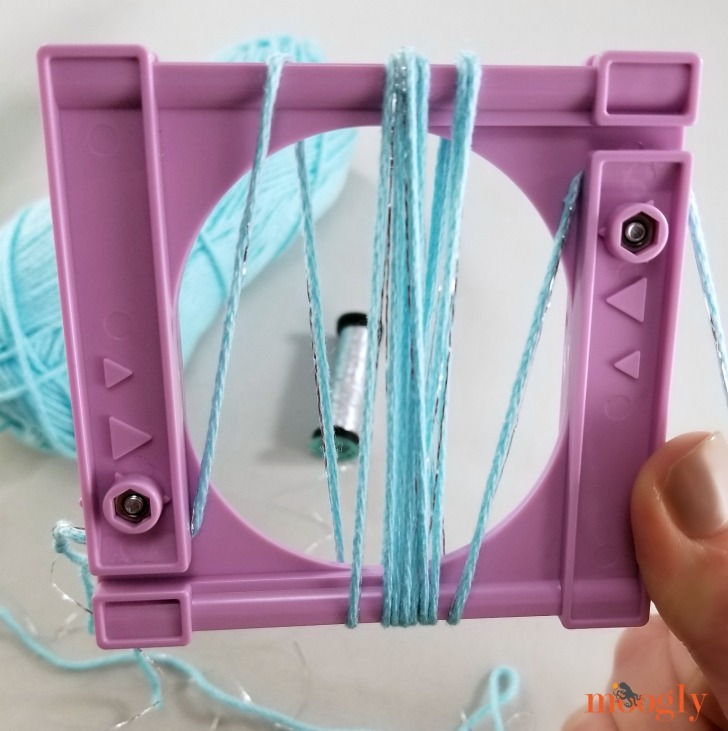 Then, instead of adding a knotted cord in the center, I put the earring hook right around the yarn in the tassel maker! 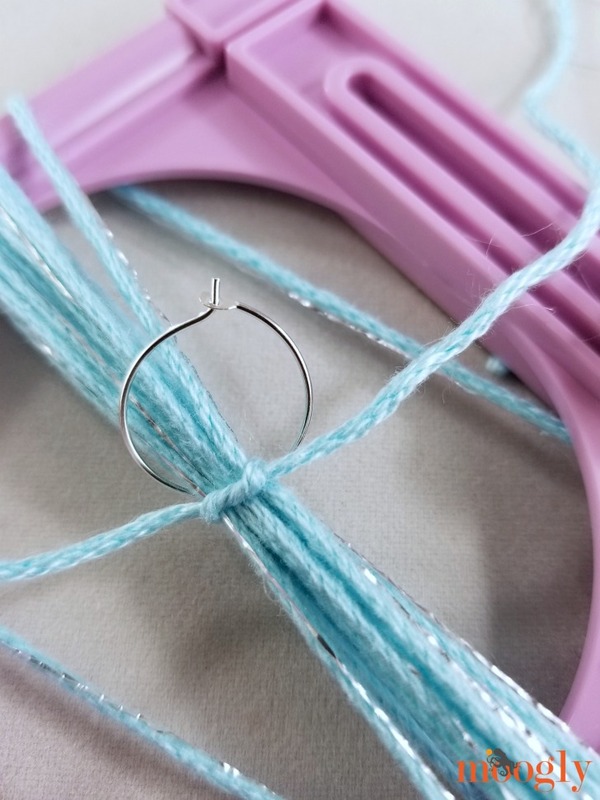 Then, I put the “strand to tie the center” through the earring as well, before tying the center of the tassel. 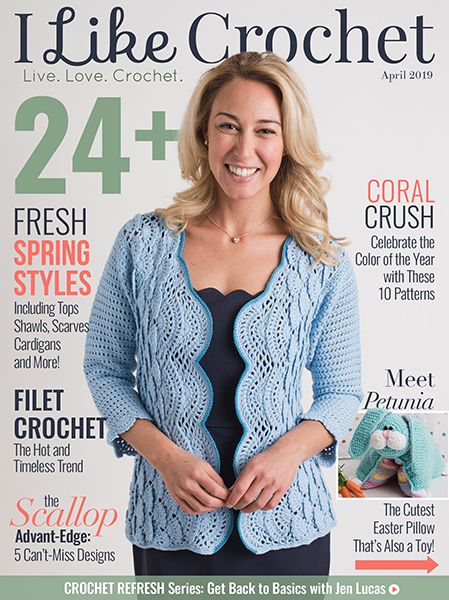 Here I’m showing it in contrasting yarn for a couple photos so it’s easier to see, but you’ll want to use a matching yarn. Now for the real tie! 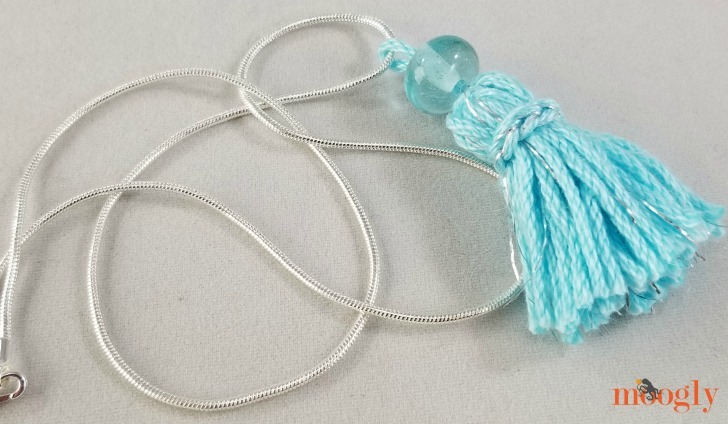 I set it aside and made the strand that is used to create the head of the tassel – the necklace of the tassel itself, if you will! 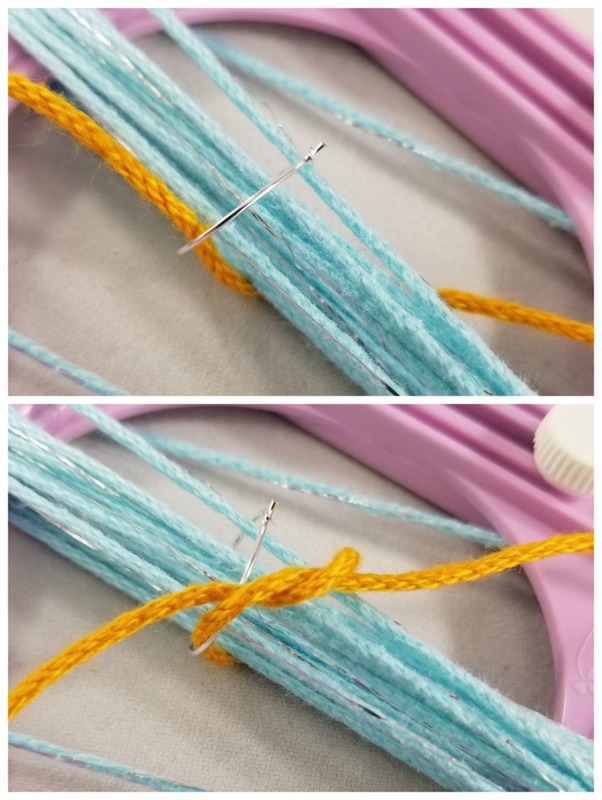 Rather than just winding the yarn around as usual, I used my crochet hook, with the yarn and thread held together again, to make a length of 7 chains, with a few inches of yarn/thread at each end. Tying this chain around the tassel, we’re almost there! 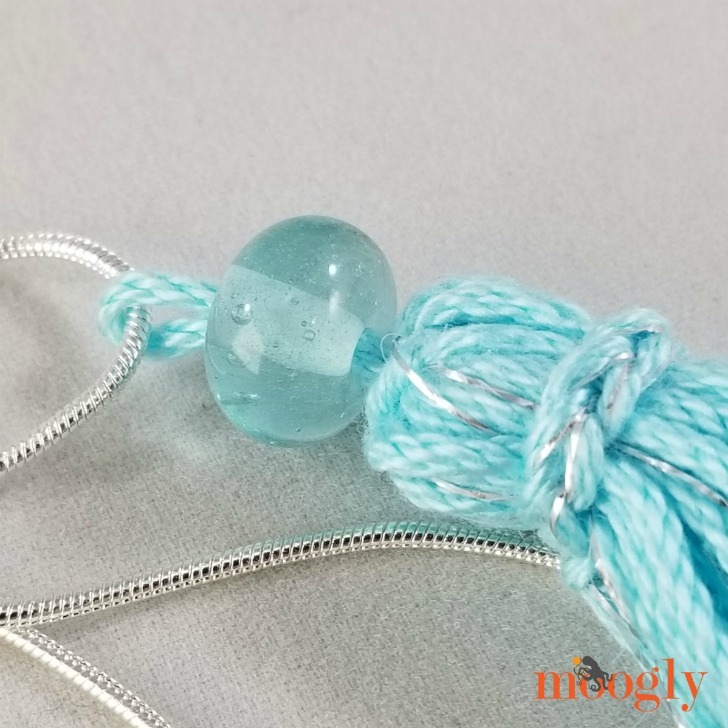 Then, you can make the matching Tassel Necklace! Here’s where I added the beautiful bead too. It’s one I’ve had in my collection for some time, and I was excited to finally get a chance to use it! Making the necklace was very similar to making the earrings, with just a couple differences. 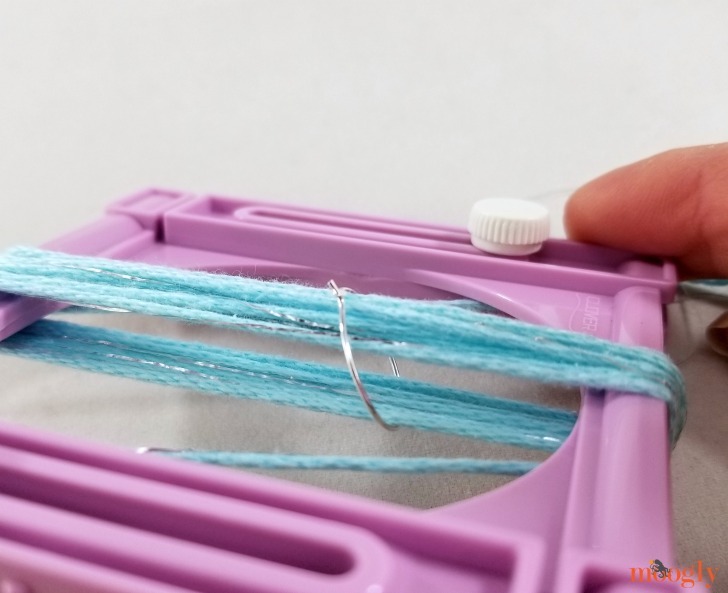 Firstly, I wound the yarn and thread combo around the Tassel Maker (still on the smallest setting) 10 times. Then, instead of using an earring, I did make a tied strand, as directed on the instruction sheet. 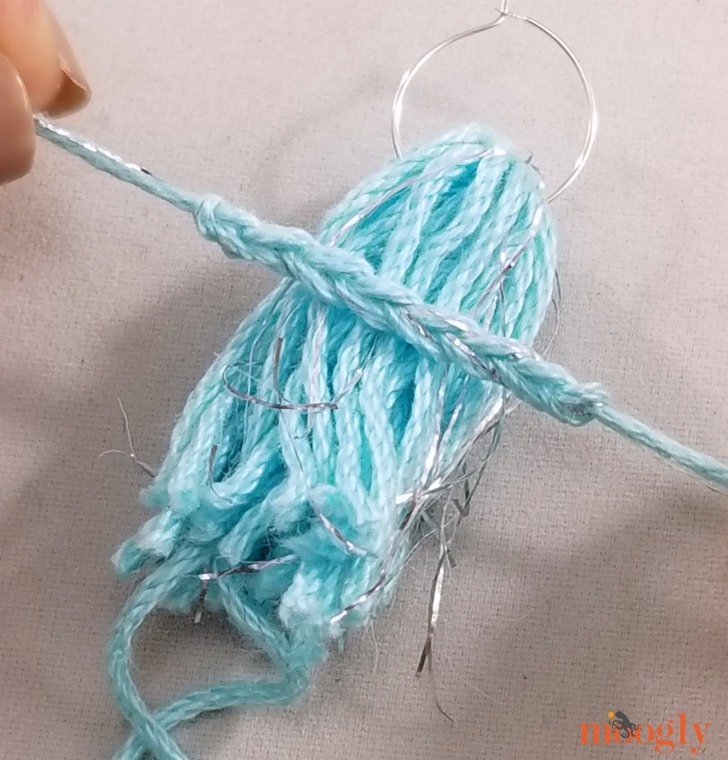 The knot needed to leave enough room for the bead to sit above it, as well as have the knot be tied into the tassel. Otherwise, assembly was the same! 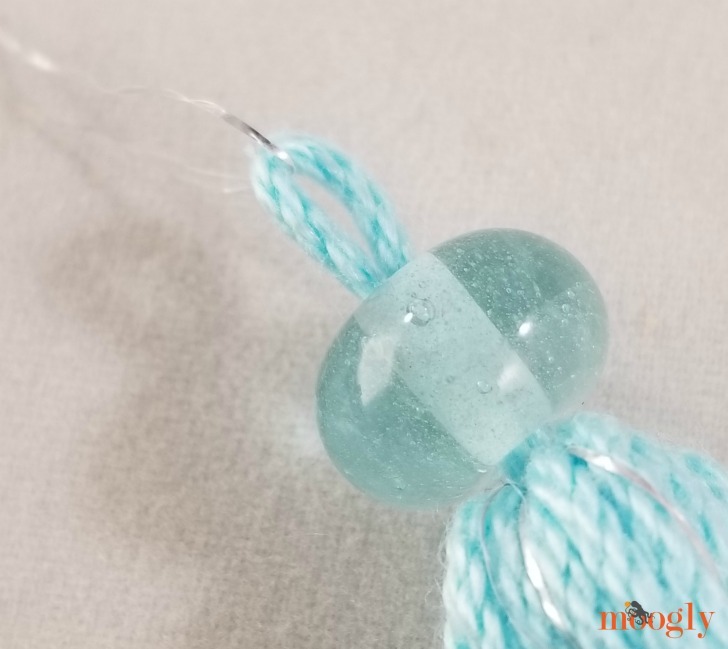 And then, before stringing it on the necklace, I used a scrap of thread to pull the loop up through the bead. 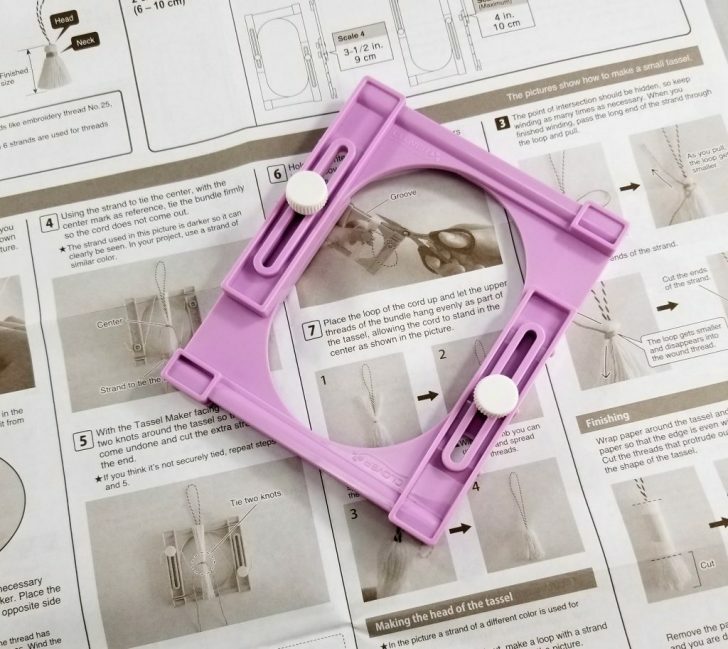 A bit of dental floss works really well too! 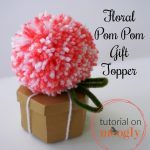 You can see this tip in action HERE. 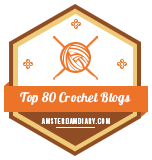 Finally, just insert one end of the necklace through the loop, et voila! 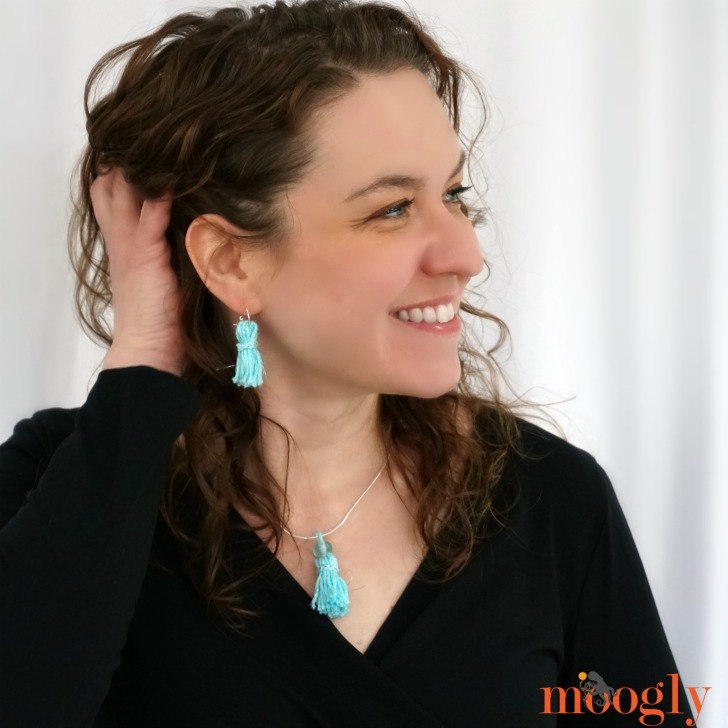 Your very own custom Tassel Jewelry set! 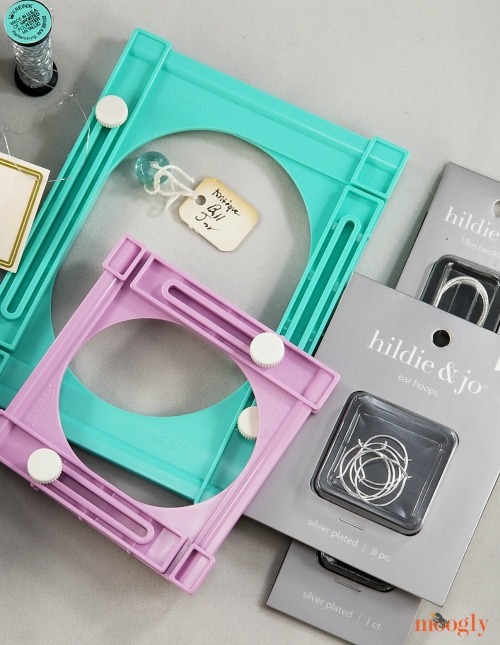 I love this set – and the versatility of this idea! 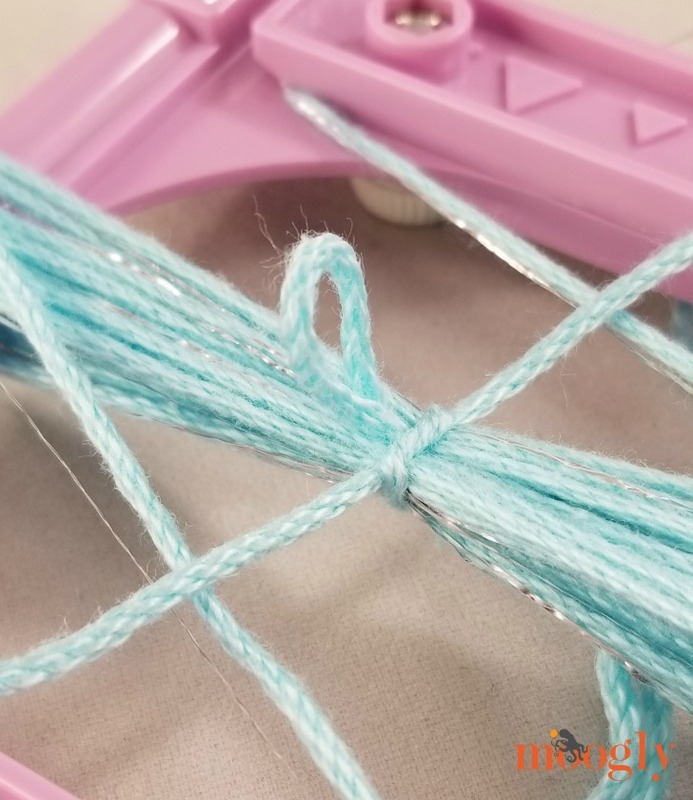 You can change the yarn colors, try embroidery floss, use different sizes of tassels, beads, the possibilities are limitless! 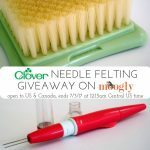 Clover Needle Felting Bundle Giveaway!